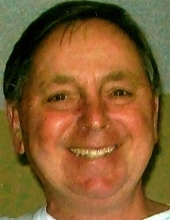 Richard Stephen Brucker, age 68, of Homerville, Ohio passed away Saturday, January 26, 2019 at his home following a short, hard-fought battle with cancer. He was born October 20, 1950 in Cleveland to Richard and Camilla (Meier) Brucker. Richard grew up in Parma Heights and graduated from Valley Forge High School in 1969. In April of 1973 he married Sharon Jarzen. They resided in Brunswick for 19 years before moving to Homerville in 1994. Richard was employed at Nabisco Foods Seville, and later at Ford Motor Company in Brookpark where he retired from in 2009. He was a member of the Ashland Eagles and Our Lady Help of Christians Parish in Litchfield. Richard was an avid outdoorsman and had a love for animals and Wild, Wonderful West Virginia. Inurnment will be held at a later date at the Ohio Western Reserve National Cemetery in Seville. Memorial contributions may be made to the Medina County SPCA, 8790 Guilford Rd., Seville, OH 44273. Online condolences may be shared at www.parkerfuneralhomes.com . Arrangements by Parker Funeral Home, Lodi (330-948-1122). "Email Address" would like to share the life celebration of Richard S. Brucker. Click on the "link" to go to share a favorite memory or leave a condolence message for the family.